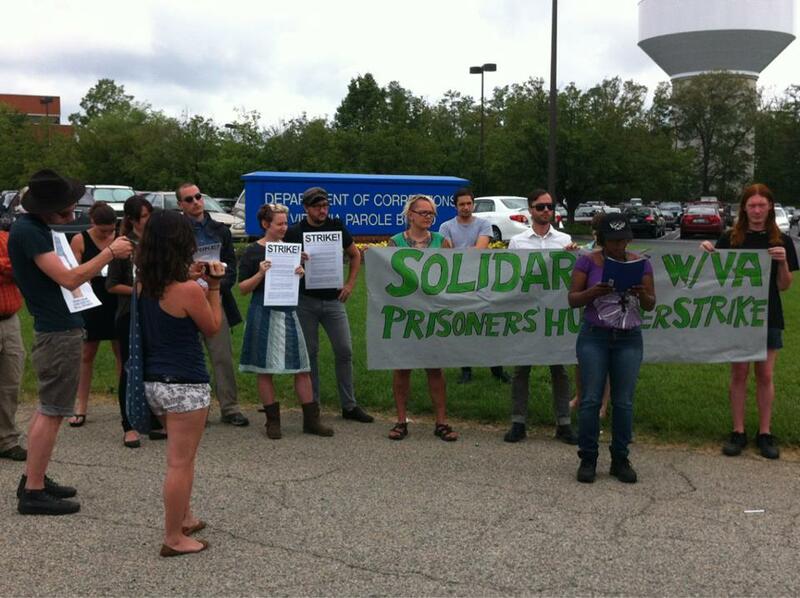 Video from Press Conference in Solidarity with Virginia Prisoners on Hunger Strike! Here is a video of the press conference that was held outside of the Virginia Department of Corrections Office on Tuesday May 22nd at 11am. Folks from a variety of endorsing and supporting organizations showed up for the presentation of the information and demands. Represented were SPARC Richmond (Supporting Prisoners and Acting for Radical Change), SPARC DC (Supporting Prisoners and Acting for Radical Change), ABC (Anarchist Black Cross), Wingnut Anarchist Collective, Virginia Defender, the Wayside Center, Occupy RVA and SONG (Southerners on New Ground).